‘Matsushima’ in the suburbs of Sendai, Miyagi Prefecture, is one of the Three Great Sights of Japan. 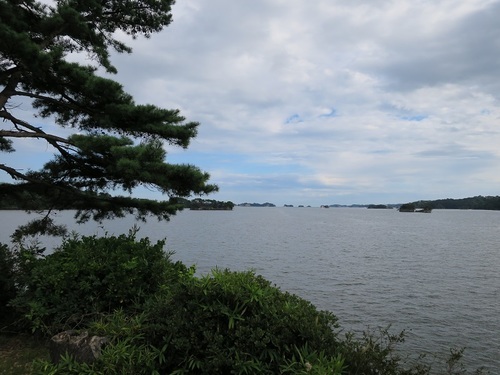 Matsushima is a scenic spot dotted with many small islands, formed by a submerging rias coast. As this sea is made up of encroachment-prone geological features with a depth of less than 10 meters, many small islands show a mushroom-like appearance after longtime encroachment. Matsushima literally means pine islands, since they are topped with pine trees. This area was hit by the ‘tsunami’ in 2011 though, they are almost recovered from the damage. In this connection, it’s difficult to navigate safely for outsiders because of many sunken rocks. The Date family, a feudal lord of Sendai domain of the days, prepared this bay for a naval port with many military facilities. 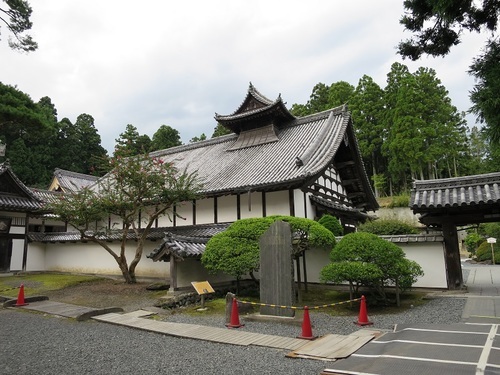 Even ‘Zuiganji’ Buddhist temple in the second picture, designated as a national treasure, is said to have been designed to be changed to a military facility in case of emergency.